Do you want to face the stress, anxiety, and heartbreak of the end of life experience without all the necessary legal documents in place? I cared for my mother, Dotty, who lived with Alzheimer's from November 17, 2003 up until the day she went to Heaven on May 25, 2012. One of the smartest caregiver moves, and decisions, I ever made happened in May of 2004.
that Dotty would need to insure her life wishes where met at the end of her life. 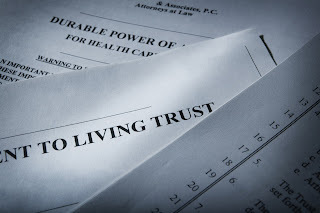 durable power of attorney, designation of health care surrogate, Do Not Resuscitate (DNR), and living will. You might think or believe that these documents are expensive; or that, you will need to hire an attorney to execute them. This is not necessarily true. In our case, I found most of the necessary documents on the Internet; and I also received a packet of legal documents from Hospice. I particularly liked the Hospice documents because they addressed issues that were specific to our State -- Florida. I cannot tell you how tired and anxiety ridden I felt on the day I had to reach for those documents. It was less than 3 weeks before Dotty died and went to Heaven. I can tell even though I knew I had those documents, I was somewhat nervous when I went to get them. Did I do them correctly? Are they out of date? Am I sure where I put them? I say I was anxiety rised mostly because I knew that Dotty was going to die soon. The stress and anxiety can be enormous even if you don't think you are feeling that way at the time. I learned that first hand. Do you have these documents in hand right now? Do you want to face the stress, anxiety, and heartbreak of the end of life experience without those documents? Do you want doctors or lawyers to take charge of the end of life care your loved one is going to receive? Or, do you want to be sure that ALL the wishes of your loved one are met? If you get to Hospice care, and as long as your family can agree, many of the problems of end of life care will be handled for you. But, never the less, you still want to have your own duly executed and certified documents in hand. Here is a list of some of the documents you will need. However, every circumstance is different and you will likely need the help of a lawyer if finances, property, and money issues are complex. Durable Power of Attorney for Finances gives someone called a trustee the power to make legal and financial decisions for the person with Alzheimer's dementia. Durable Power of Attorney for Health Care gives someone called a proxy the power to make health care decisions for the person with Alzheimer's dementia. Living Will states the person’s wishes for health care at the end of life. Do Not Resuscitate (DNR) this form tells health care staff how the person wants end-of-life health care managed. Will tells how the person wants his or her property and money to be divided among those left behind. One useful resource to obtain help, assistance, and advice is your State Attorney Generals' Office. And, thanks to the National Hospice and Palliative Care Organization and Caring Connections you can get all or most of the legal documents you need on one website. Importantly, the documents are tailor made for each state. I would also suggest that you contact your local Area Agency On Aging. To locate a State and/or Area Agency on Aging (AAA), I suggest you start on this website -- Administration on Aging (AOA). Just click through to your State, and then your local office. If you already have these legal documents in hand, wonderful. If not, you should do so as soon as possible. Take control now when you are able to think clearly.